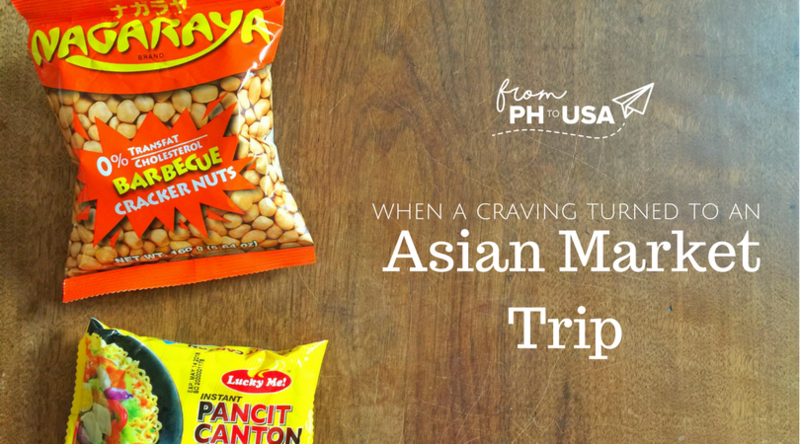 Whenever I think of the Philippines, one of the first things I think about is the food. There is no denying that we Filipinos love our food. Some of my previous expat officemates would ask us why we're talking about or thinking about food all the time. My husband also had the same impression of me in the first few months that we've dated. It's just one of the main things where good memories tend to revolve on because it's such an integral part of our everyday life. 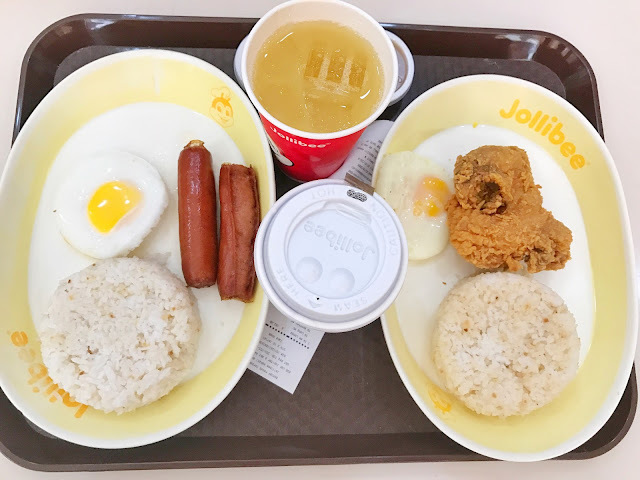 I was used to bonding over Nescafe 3-in-1 in the morning with my family while eating some hot bonete or pandesal that the roving panaderia brought around the neighborhood. My friends and I always think hard about which restaurant we should have our reunions at. Potlucks are a big thing for family reunions and Christmas parties. 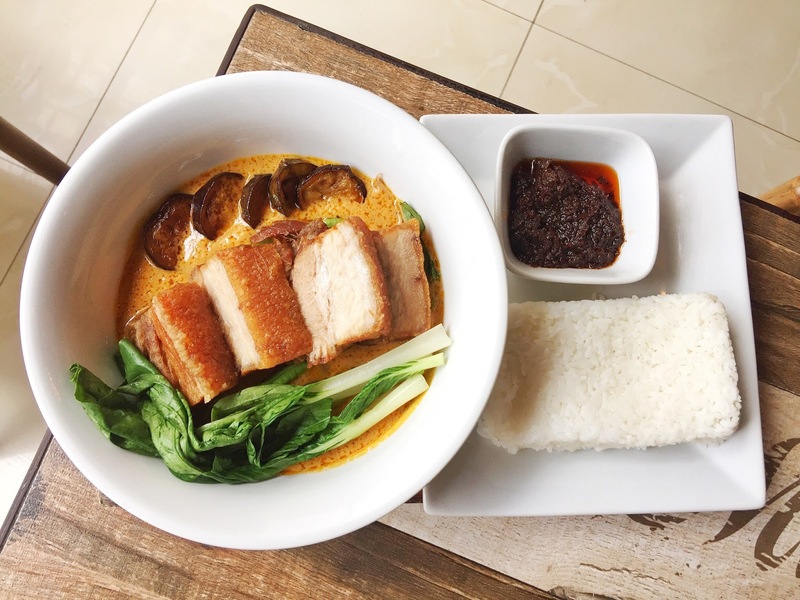 Bagnet Karekare at Tambayan Gastrobar, I miss you! Jollibee, why do you have to be a 4-hour drive from where I am now? I wouldn't deny that I had a hard time adjusting to the food when I first got here in the US. I thought that I would adapt easily since there are a lot of American fastfood and restaurant chains in the Philippines. I shifted from eating rice every day to just once a week. What I used to eat as snacks like sandwiches are now main meals. There is also the constant longing of dishes with multiple Asian spices swirling around your mouth. Homesickness ran me over like a truck last Monday. I would blame it on the winter blues, as they said, but it was more than just the depressing cold weather. I reminisced the days I would eat rice every day and craved Nagaraya Garlic cracker nuts while I was cleaning our bedroom. I told my husband about what I felt, and it's great that he tried very hard to empathize with me on this transition while getting settled in the US. Which is why we headed to Park to Shop Supermarket to get some snacks, drinks, and food. 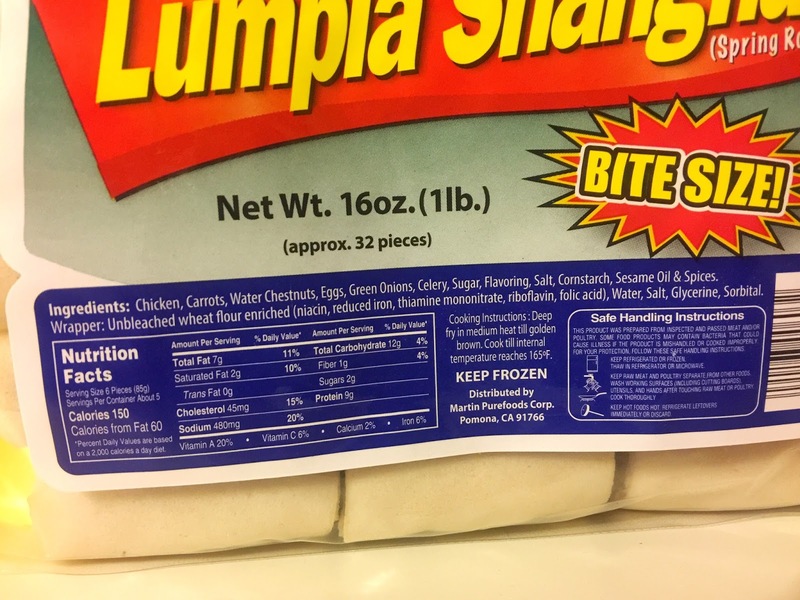 I went and looked at the ingredients' list of the lumpia and looked to see if it was the usual I had. It was an American version. I would understand since there's a large Filipino immigrant population in the US and it would cost too much to import this from the Philippines. No worries since we ate this for dinner that night and I loved it. There is no photo we just dug right in after my husband cooked it for us. 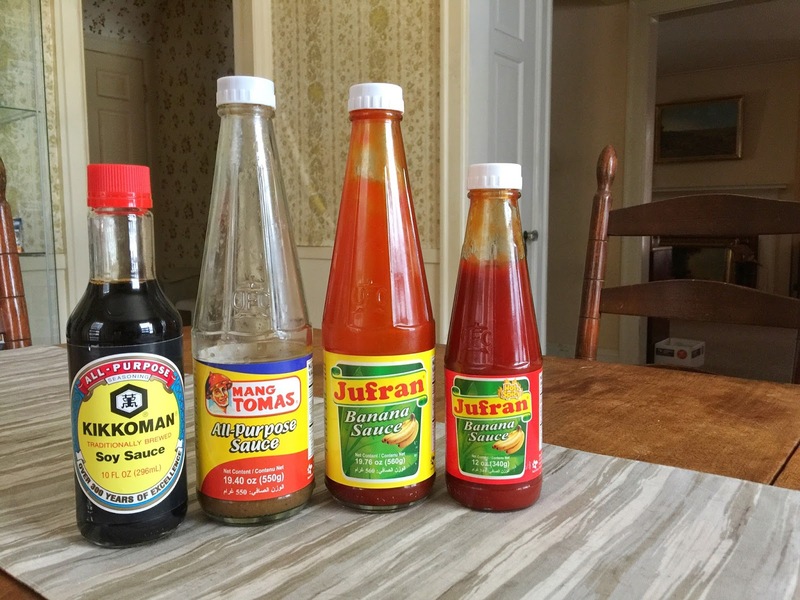 On occasion, I would use Mang Tomas and Jufran with fried chicken when I want something sweet on the meat. I'm trying my best to adapt my taste to the American cuisine so I hope that happens sooner than later. Is the food in the USA that bad or it is not ones liking. 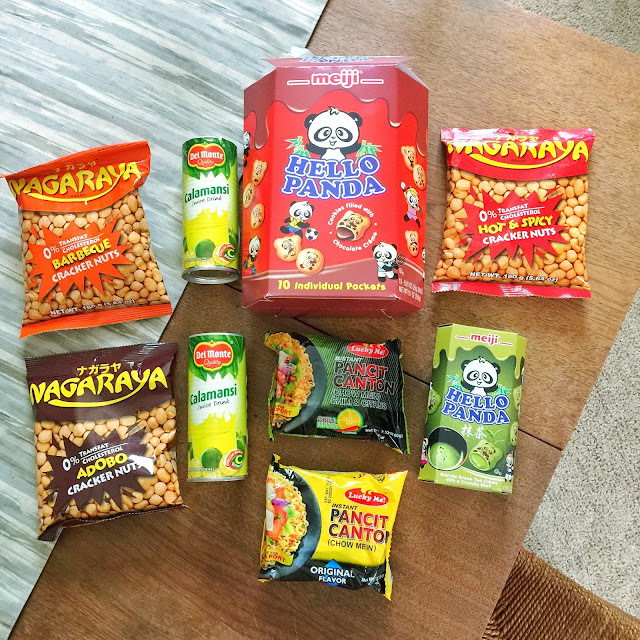 Now I understand why my relatives ask for those pasalubong like daing, acharang saging (the green ones), and cornick as pasalubong. 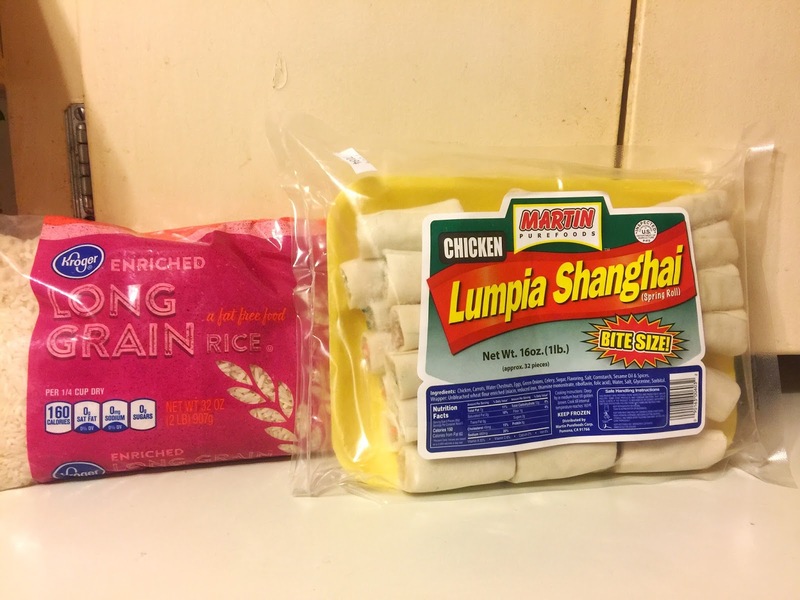 I enjoy a wide variety of foreign food but I'd still pay a premium to eat legit Filipino meals and snacks. I flew to Russia with 23kgs of nothing but food in my luggage once. Good thing the customs guys didn't say a word when they scanned my bags. I live in New Zealand and have a rolling order for Nagaraya Garlic, SiliMansi Pancit Canton, and Chocnut to be delivered every month to my place from our local Pinoy store. My parents went back to the Ph for Christmas and brought home some Delimonde corned beef and it's honestly the tastiest one I've ever had.